Is 2017 Your Year to Go Independent? Salon professionals are more than just their job description: you are artists, educators, confidantes—and more and more often, you are the embodiment of the entrepreneurial spirit. All across the nation, thousands of salon professionals are taking control of their entrepreneurial goals by moving to a salon studio. We connected with four rock stars at Sola Salon Studios who are killing it, showing us that there’s never been a better time than NOW to go independent! When you see a better way to do things, go for it. That’s what Antonio Heath, owner of Tonsorial Studio in Birmingham, Michigan did after 25 years in the industry. 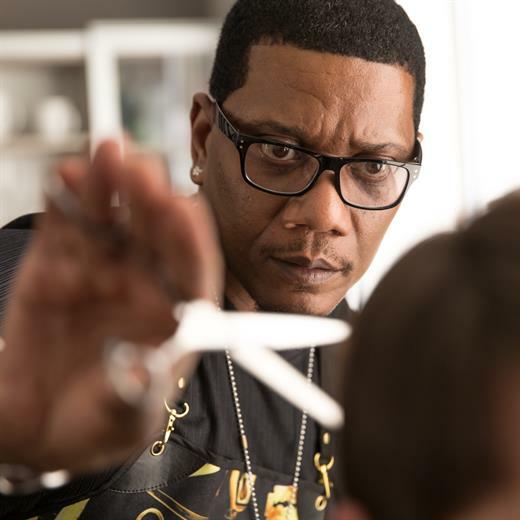 Before making the move to a salon studio, Heath owned a traditional storefront barbershop, and experienced all the ups and downs that went along with it. After making a seamless transition to Sola, Heath now has the time and freedom to focus on the details that matter most: giving his clients the cleanest cuts in Detroit. Not to mention, he’s also crushing a secondary career simultaneously, spending time on the road educating for Hattori Hanzo Shears. NYC stylist Sadé Williams, owner of Sadé Milinda Studio, in Midtown Manhattan. 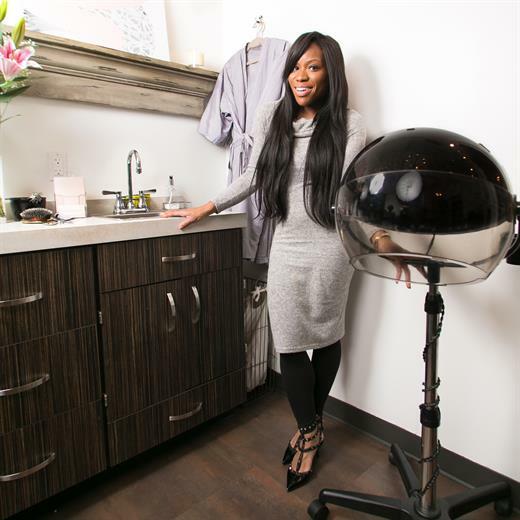 After a decade of working in the high-end salon industry, NYC stylist Sadé Williams made the move to open her own bespoke salon, Sadé Milinda Studio, in Midtown Manhattan. Mother and daughter duo, Tammy and Lauren teamed up and went independent. 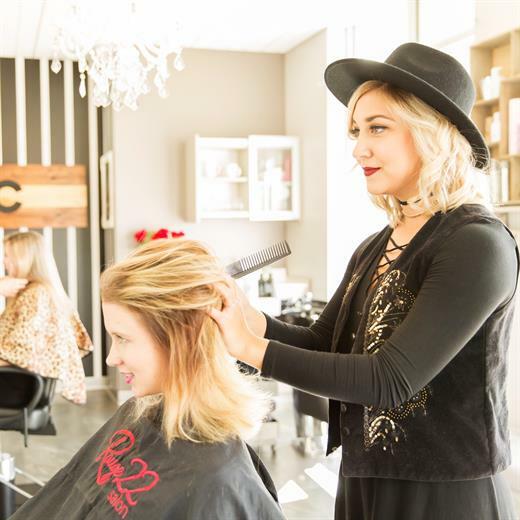 We all want the best for our family, and at Rouge 22 Salon, mother Tammy and daughter Lauren teamed up to turn their trade into a booming business where their clients are like family, too. Brow and makeup artist Shaila Paredes has worked with the best of the best in brows: MAC, Kelley Baker, and Anastasia of Beverly Hills. But for Paredes, going solo was the best career decision of her life. “My studio is an extension of me and it makes me feel at-home. I was eager to work for myself and have my own place of business that could reflect my character and style.” Now she’s at home at her LA studio, Brows By Shaila. Every little step in life leads us to what’s next. The perfect work experience looks different for everyone, but the first step is the same: gain your independence and decide for yourself what’s next! You have the key to your future, so let’s make 2017 YOUR year to go independent! Booth Rental Vs. Suite Rental: Which is Best for You? Would you rather rent a studio suite or rent a spot at an existing salon? Here are some questions to ask yourself to help you in making your choice. When it comes to discussing her hair, your techniques, the newest trends and even the best place to get gluten-free food, you can talk to your client confidently and endlessly. But when it’s time for her to pay the bill, your poise plummets, you avoid eye contact and you try to wrap up the transaction as quickly as possible. Facebook or Instagram: Which is Better for the Solo Artist? Where should you devote your social media energy—Facebook or Instagram? The answer is—both! Here are five easy networking ideas to keep you motivated, inspired and successful. Two independent stylists receive the trip of a lifetime. The event also celebrated Sola's milestone for 10,000 salon owners in over 400 locations. Imagine the freedom of setting a flexible schedule, having the perfect work-life balance or the power of determining how every cent earned is spent. What about saying “yes” to other opportunities—whether personal or professional—because you can? Women entrepreneurship is growing—are you going to be one of them? Solo artists can set themselves apart by developing and promoting service expertise and retail solutions specifically for curly clients. We asked our Solo Artist Advisory Council, “What back-to-school services are smart for solo artists (and all stylists) to offer this September.” They offered us their two cents and gave us some service and product ideas, too. Both Solo Artists, mother/daughter duo, Tammy and Lauren Muniz, have developed an ideal working relationship. Though the family business model may not be ideal for everyone, Tammy and Lauren have garnered a lot of success with this strategy. Today, there are plenty of working stylists who are trying to navigate the landscape of developing their own business while staying involved with their families. Here are a few pointers. If you don't already follow Leysa Carrillo on Instagram, you're missing out. The Vegas-based colorist blows us away time and time again with her beautiful colormelts, styling skills and creative color. See why she is featured in the 2017 MODERN SALON 100. When the profession is hot but the haircut prices are not, it’s time to up your game. At Roc’s Barber Shop within iStudio Salons in Orlando, Florida, Wahl Ambassador Berman Rodriguez (@Rocdizz) got out of the $12 men’s cut zone with key six steps that anyone can use.